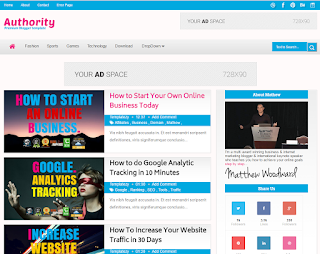 Authority MultiAds is a first blogging template that comes with fully freedom options. The dynamic admin, Auto DragDrop options and more Layouts. If you are still thinking for your next Blogging site Template, Authority would be the perfect choice in terms of SEO and Design.